Acupuncture is a natural method to allow you to control your craving for nicotine, if you’re attempting to stop smoking. Acupuncture, together with hypnotherapy and Chinese herbs, may not be as well known as chewing gum or nicotine patches to help you quit smoking, but they can offer help. Acupuncture is particularly effective in the acute phase of withdrawal when you’re wrestling with tiredness and endless cravings. A world-renowned method used in treating smoking addiction, acupuncture is an alternative medicine believed to have originated around 3000 BC in ancient China, and is now being widely utilized for various medicinal and therapeutic purposes. It has also been found to successfully treat drug dependence and chronic smoking addiction. There are several smoking cessation medications and therapies available presently. However, acupuncture is a recommended alternative procedure, especially where conventional therapies have already failed. The strategic insertion of single-use, hair-thin needles in various parts of the body aims to treat the condition in a more profound and emotional level. You will free yourself from the physiological and psychological addiction of smoking, necessitating a more holistic treatment approach. ​The placement of needles is usually located behind the ear, or on the ear cartilage. This is often where the greatest calming effect takes place, curbing your cravings for more cigarettes. You are likely to turn to cigarettes more often whenever you feel stressed, bored, or depressed. Needles are also often inserted on the hand, wrists, body and ears (auricular) to promote a steadier flow of physical energy. The feeling of relaxation lessens your dependency on cigarettes for stress reduction. Furthermore, this treatment has been found to help people deal with the withdrawal symptoms better. This alternative medicine promotes better tolerance to pain and discomfort during smoking cessation. Withdrawal symptoms can range from mild to severe and may involve nausea, palpitations, and dizziness. Oftentimes, these same conditions will propel you back to your smoking tendencies sooner than later, which is what we want to avoid. Nicotine is the addictive and toxic substance present in a cigarette. This is the same substance that makes quitting a big challenge for most smokers. 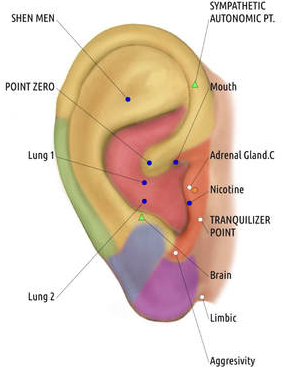 The nicotine that you get from smoking stimulates the pleasure areas in the brain, making it hard for you to stop. Without a steady stream of this substance, people who smoke tend to feel depressed and uncomfortable. People who have undergone acupuncture treatment reported that they no longer find cigarettes as tempting or as satisfying afterward. Oftentimes, smoking would leave an awful taste in their mouths prompting them to stop their habit and seek alternatives. Some patients would even resort to eating mints or lozenges to clear to get rid of the terrible aftertaste the cigarettes left in their mouths. 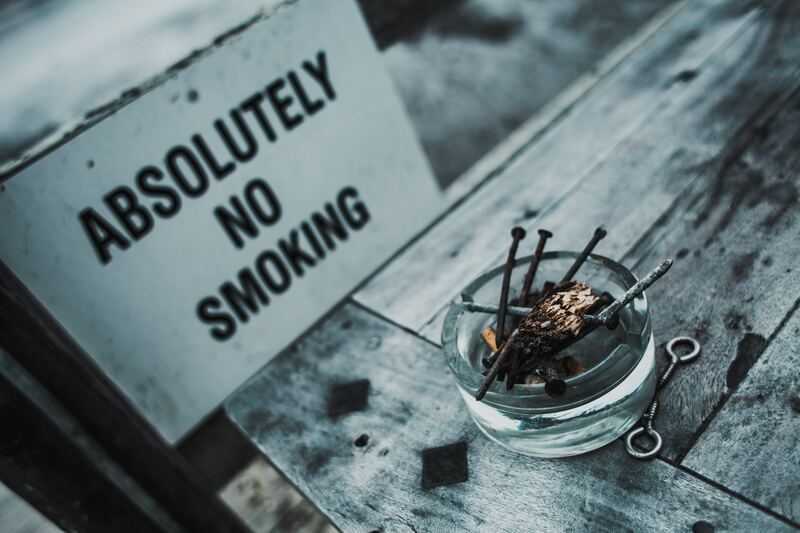 According to skilled practitioners, approximately 7 out of 10 smokers will successfully extricate themselves from their smoking habit after 4 or 6 weeks of acupuncture treatment. While the others are unable to quit totally, these smokers will be able to cut down on their cigarette consumption quite significantly. It is extremely essential for a patient to consult with a skilled acupuncturist. A more personalized service will be provided by an expert, as well as added counseling for the patient. Moreover, an acupuncturist may prescribe herbal supplements to aid the patient in quitting efforts. During treatment, filiform (solid, thin) needles are inserted into specific points on the ear cartilage, as well as the hands and wrists. Normal procedures last for about 30 minutes. Body acupuncture can be used in combination with the ear and wrist needle placements. An acupuncturist may also utilize a mild electric current, to enhance the effect of the needles through the body. The greatest advantage of this ancient Oriental procedure is the absence of negative side-effects during and after treatment. Unlike smoking cessation medications and nicotine replacement therapy products, acupuncture does not employ chemically manufactured substances. There is also no risk of weight gain during therapy. In conjunction with helping a patient quit smoking, it can also curb appetite, thus reducing food cravings. If you have tried several methods in smoking cessation to no avail, perhaps it is time you consider the natural, alternative method that is acupuncture. With the right practitioner and the right frame of mind, acupuncture can help grant you freedom from addiction.